The Google Assistant App total grew nearly a third in the six weeks between December 1st and mid-January from 1766 totals app to 2338. This growth rate is a noticeable decrease from the previous period, when the total grew 144% in just two months from October 1st to December 1st. However, certain categories did see quite a big increase, such as Education and Reference, which grew a whopping 178% and Arts and Lifestyle which saw a 79% increase as well. These categories’ rapid growth is different from the previous trends we’ve seen. Since August, the top categories to increase have consistently been Games and Fun as well as Home Control. However, during Voicebot’s research, we noticed an anomaly we had missed in our past counts. Google frequently repeats apps between categories and even within categories to further enable user discovery. For instance, a trivia game on geography could be found in Education & Reference, Games & Fun and Travel & Transportation. In addition, you can find apps in the News categories littered among the “Check News”, “Check Top New Stories” and “Local News,” subcategories. The duplication is profligate. We had removed many duplicates in the December count but clearly missed a large number. While this practice potentially makes it easier for the user to find relevant apps, it also means that the Google Assistant app count is lower than previously reported. When the duplicate apps are removed across all categories, the total number of unique apps is actually 1719 as of January 1, 2018. It is also fair to say that Google Assistant apps continue to have a respectable growth rate. Total Google Assistant apps rose by nearly one thousand between October and January, a growth of 137%. The other question is, does it really matter how many apps Google Assistant has if users do not use them? Google is making a large effort to ease user discovery by repeating apps among categories and with its new desktop version of the Google Assistant app directory, which launched earlier this month. The new directory is now also a mix of voice apps and search result. This is why Google can now claim users can search “over 1 million things to try.” While having over a million use cases is no doubt based in fact, it does not point to a sudden rush of voice app developer support for the platform. It is simply a better way for Google to highlight that Assistant has many capabilities, maybe even more than Amazon Alexa, even if it cannot claim 25,000 voice apps by independent developers. However, the problem for many consumers is that the difference between a voice app and Google Assistant’s native capabilities is not inherently obvious. With Google Assistant, consumers have access to nearly everything they can find on their smart phone with one app. This is a significant change from what they are used to, as even something as simple as a calculator requires a specific smart phone app. This is not the case with voice-first devices. All the consumer has to do is ask, which almost seems too simple. Perhaps this why Google has taken to spelling out almost every functionality of its Assistant on the directory. For instance, in Food and Drink, Google has hundreds of apps called “Recipes from…” which pull recipes from every well-known food blog and media publication. It also lists every podcast a user can find through its Google Play store. It may seem redundant to some, but Google’s new app discovery practices can help increase user engagement. Consumers are rapidly embracing these devices, but many only use them for certain functions, like setting a time or checking the weather. Many are unaware they can ask of more from their voice assistant. 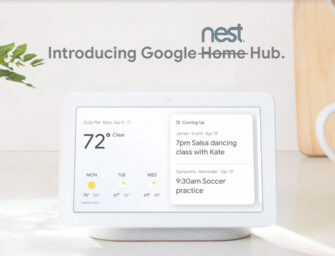 Google’s exhaustive list of the Assistant’s capabilities ensures that consumers can find what they are looking for from their Assistant where they are most comfortable – with a keyboard and screen. Then again, you don’t have to browse. You can just ask.